Brilliantly simple, isn't it? Even if you don't flash builds often, you should still find this option handy. If you flash nightlies, it could become your new best friend. 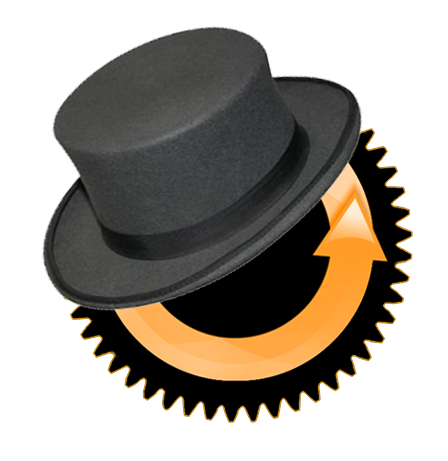 Under the hood, the 1-click ability is powered by ROM Manager's Web Connect, which is not a new feature in any way - it was added to ROM Manager Premium back in 2010. 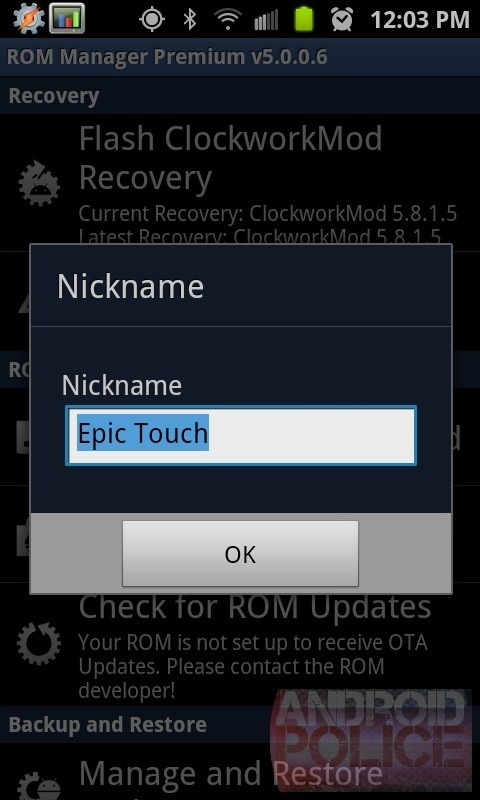 It's great to see that the team behind the largest ROM community in the world has now decided to adopt it. So, what do you need to do to set this up? 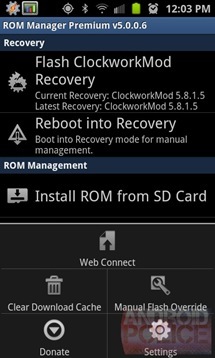 First and foremost, you need to grab ROM Manager Premium, fire it up, and enable Web Connect. Web Connect will prompt you to select a Google account to attach itself to and register for push notifications. 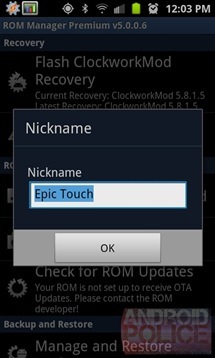 You will also be able to assign your device a nickname. Presumably, if there is more than one device enabled under the same Google account, you should be able to pick which one to send builds to on a case by case basis, but I haven't tested this theory and can't confirm or deny it. Feel free to point it out in the comments, however. Note: Web Connection registration could be finicky at times - it took me 3 attempts to get it to go through. However, since it's a one-time setup, it's not a big deal. 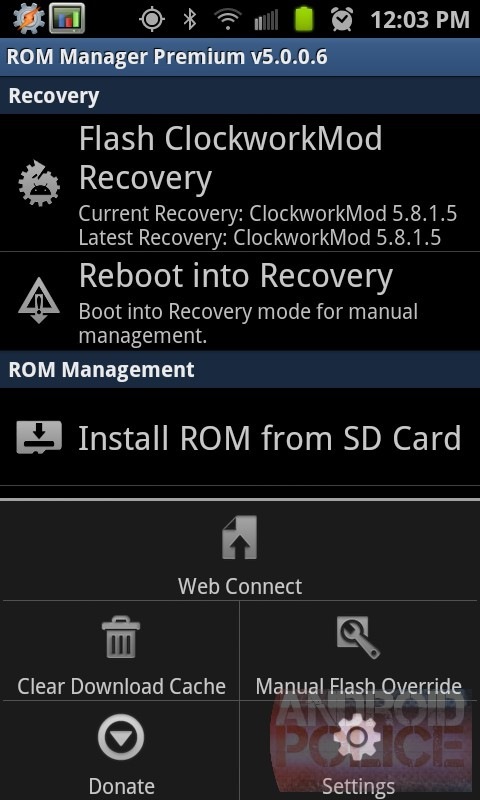 Next, head over to the CM Downloads page and find the build you want to have your device instantly start downloading. Click on next to it, which will prompt you to set up a link between the service and your Google account. This is a one-time operation that should not be needed anymore, as long as you're signed into this particular Google account. 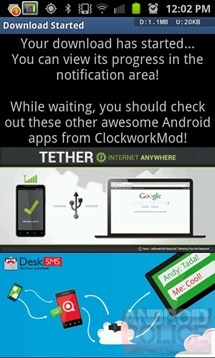 Once you're done, check your device - the download should start immediately. 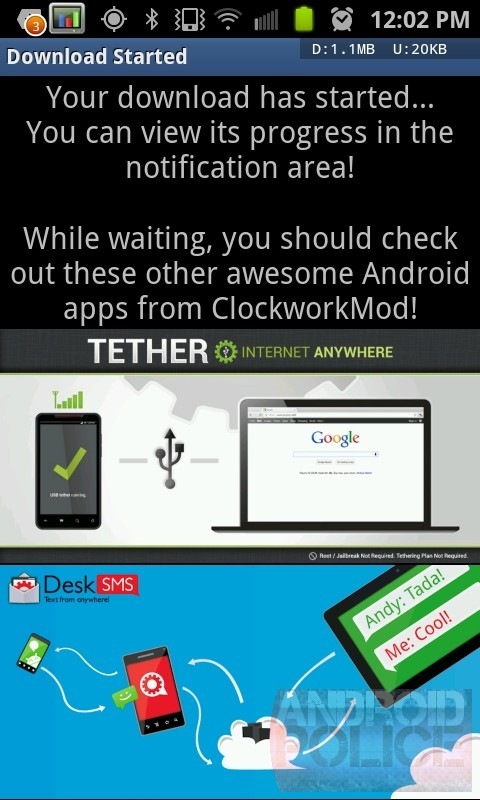 Note: C2DM, Google's push notification system, is notoriously unreliably and sometimes needs a kick to start working. If you're having trouble, cycle your connection by toggling Wi-Fi or data, which should refresh the C2DM registration and get push notifications working again. [Weekend Poll] Which Keyboard Do You Use On Your Android Device?